Fabulous Brownstone in Harlem. This is a Legal SINGLE ROOM OCCUPANCY DWELLING, built circa 1899 and is awaiting your imagination to restore it to its original grandeur. Garden Level Double Parlor Living Room/Formal Dining Room with Kitchen and Office. There are 3 Bedrooms and 1 Bath on the Top Three Floors. You also have the option of using the entire home as the current family is using it as their palace. The home has been minimally changed from its original condition and still features its original attributes. 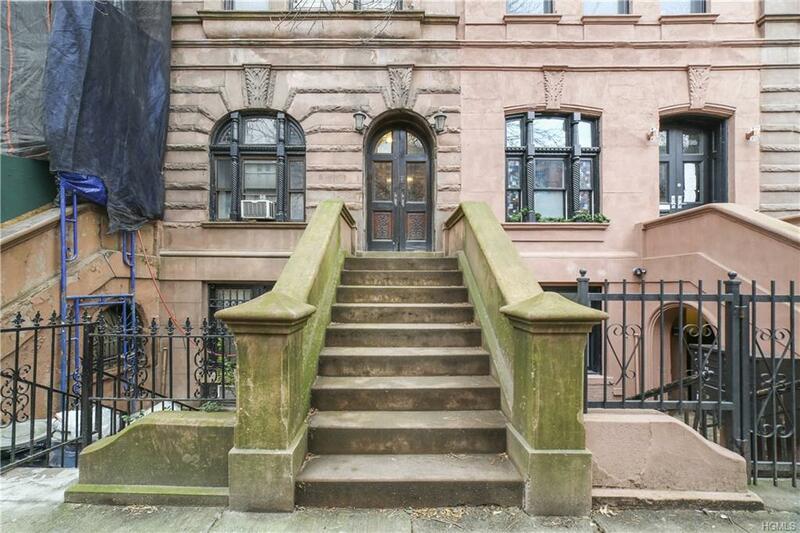 The dramatic brownstone stoop leads to the beautifully carved panelled entrance door that leads to a handsome and grand entry hall which features the original 19th century hand carved woodwork. First floor also features 12 foot ceilings. Bring your creativity to make the backyard an entertainment area or your own personal garden. All information deemed reliable but not guaranteed and should be independently verified. All properties are subject to prior sale, change or withdrawal. Neither listing broker(s) nor Keller Williams New York Realty shall be responsible for any typographical errors, misinformation, misprints and shall be held totally harmless.